It is well known that celebrity Willie Aames was one of the notorious contestants to appear on the ‘Celebrity Fit Club’ show and also had a huge blow-up with the trainer and drill Instructor Harvey Walden. 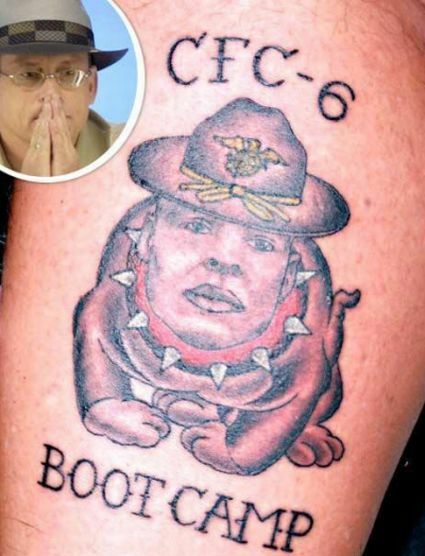 His recent tattoo of his show’s trainer’s image, etched very stupidly on his calf speaks a lot about the tiff. This tattoo has turned the table on Harvey and it is quite possible that he will lose a huge amount of weight if he comes across it.